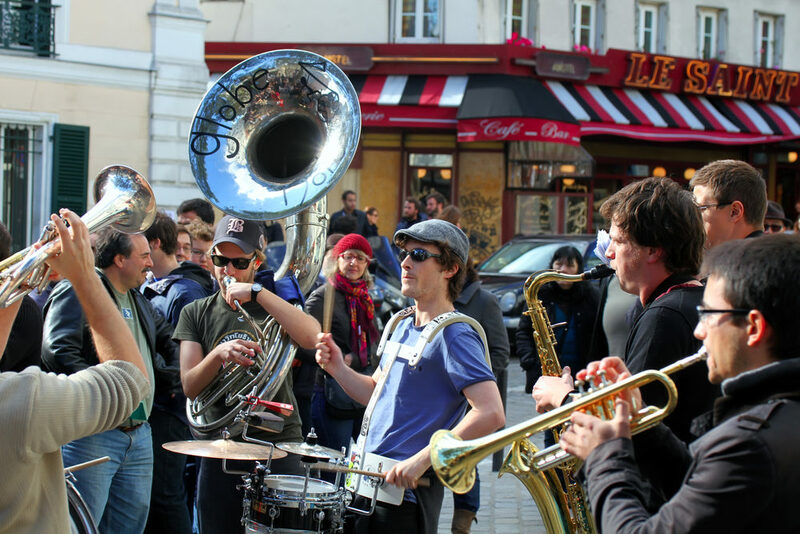 The event of the Festival of Music takes place at the end of June each year and brings together various artists and passers-by in the streets of Paris. But do you know since when this event exists and how is it going ? The creation of the Festival of Music and its political context. It was in 1981 with the Minister Jack Lang that was born the idea of an event that brings together all types of music “without a hierarchy of gender and origins”. In 1982, a study on the cultural practices of the French is conducted through the Ministry of Culture and reveals that 5 million French or one in two people practice a musical instrument. A large free popular event is then imagined bringing together all the French artists and musicians to make themselves known. The first edition of the Festival of the Music will take place on June 21, 1982. The event then takes place in haste. Hundreds of posters are printed and the various actors of the social and cultural life are mobilized. The concept of this event was exported in 1985 abroad during the European Year of Music. In less than ten years the Festival of Music is present on 5 continents in 85 countries and 120 countries in 2017! A postage stamp is even dedicated to this event in 1998. It gives a revival to traditional and contemporary music and highlights cultural practices and the exchange between artists and the public.